We've gone all out this year to bring you a selection of extra things to see and do (as well as enjoying the book artists and their work, we mean). All the events will be free, but spaces on the workshops are limited. Website bookings for the workshops are now closed, but can still be taken at the entrance table at the fair, until they are fully booked. Old Bear Press, one of this last year's book arts residencies at Hot Bed Press, will be running mini workshops on Friday and Saturday. You will be able to make your own concertina (or accordion) book, or a beautifully folded turkish map fold or flowerfold book that's almost a work of art in itself - all of them will be completed with cloth-covered hardback covers, and the pages will be blank, ready for you to make a little masterpiece of your choosing. Suitable for adults and children. We're going to build you a cosy little corner where you can settle down and look at a selection of work loaned by book artists at the fair. An oasis of calm, away from all the hurly burly - sit down, forget the chatter all around. Choose a book from those available and give yourself time to appreciate it - the choice of paper, words, style, imagery. This one's not your cup of tea? Try another one instead and see if it invites you in. Any books in the Reading Room will also be available for sale at the artists' tables. 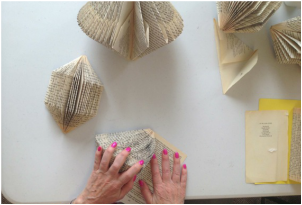 Kate Bufton creates beautiful folded structures, upcycling old, unwanted books, and she'd like to show you how to do it for yourself. 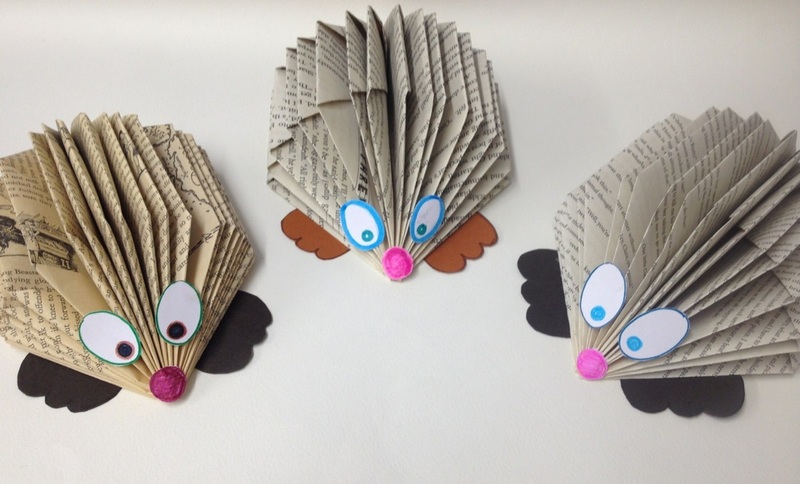 In one workshop children will be able to learn how to make a book hedgehog, and in the other adults can have a go at a different design. Suitable for absolute beginners. 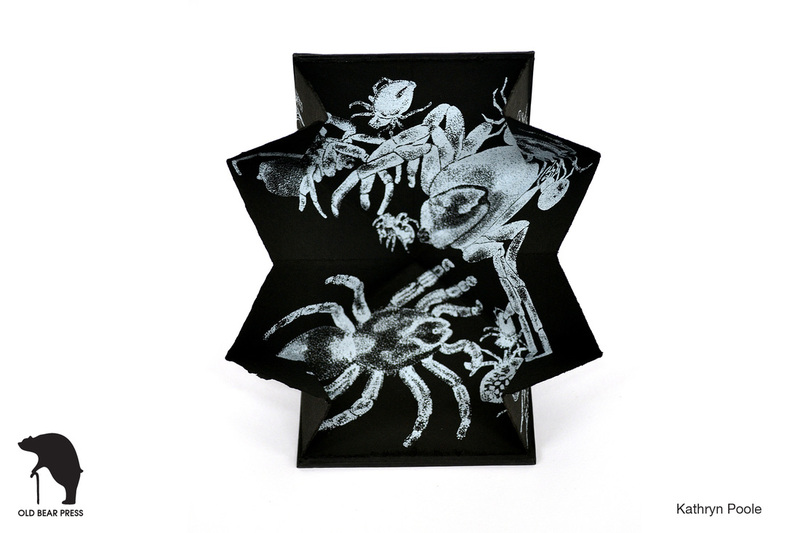 Joanna Wilkinson, the other recent resident book artist at Hot Bed Press, will not only show you how to make a beak book - a simple but effective book form made from a single sheet of paper - but also introduce you to the fun of black-out stories. You create a brand new story from the text on your page by blacking out the words you don’t want, so everything depends on what you get to start with – that random element over which you have no control. 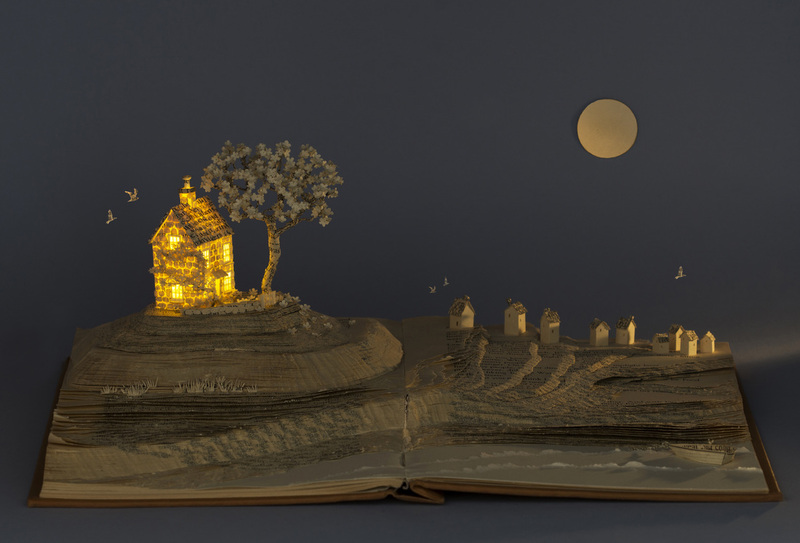 Who knows what stories will be told? Suitable for readers of any age. 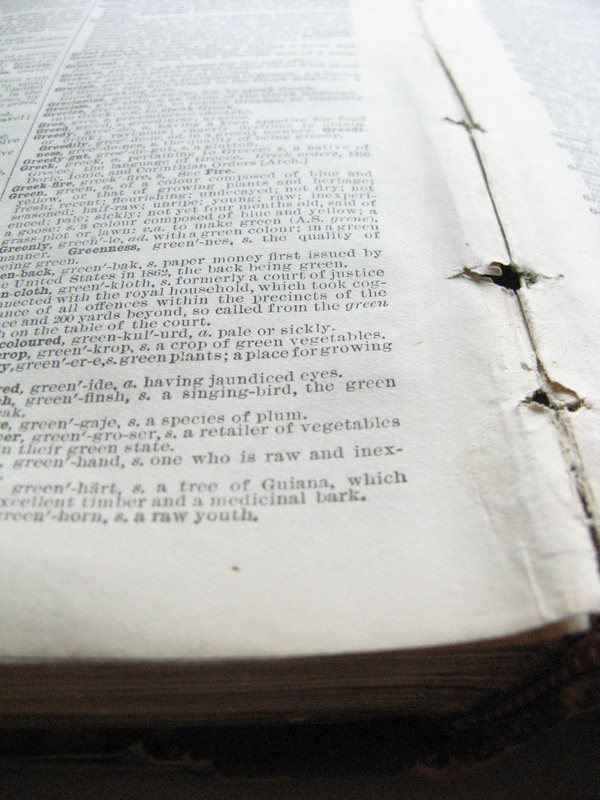 Elizabeth Willow will introduce you to words from her nineteenth century Nuttall's English Dictonary - this 1886 volume was in the Library of Lost Books, a project that took abandoned books and gave them a new life. 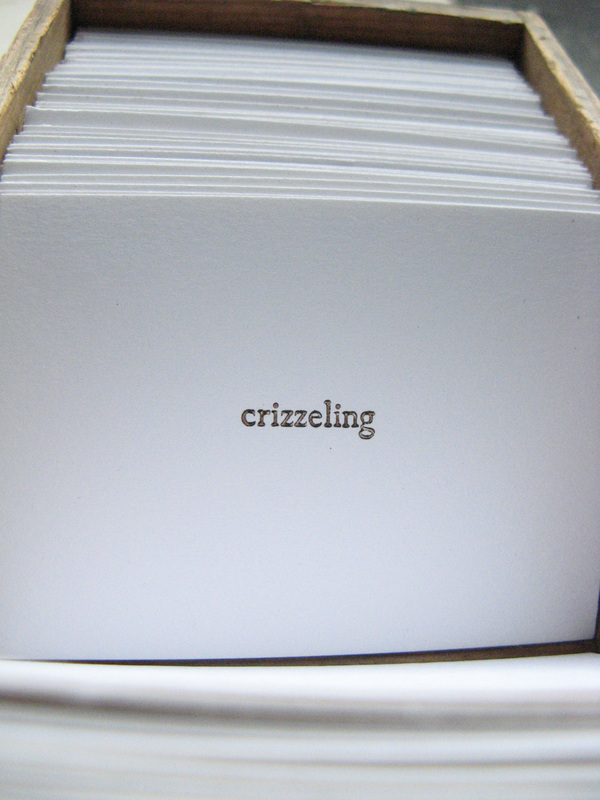 Using a craft that has been in existence for 500 years and is still used today, Elizabeth has letterpress-printed words from the dictionary on to small cards. She invites visitors to take a card and receive a definition from the dictionary - an old word, but very likely new to you. Every year MMU Special Collections very generously puts out a selection of their artists' books in their own Reading Room, for visitors to the fair to enjoy, and it's definitely worth the trip across the little All Saints Park and up to the 3rd floor of the Sir Kenneth Green Library. 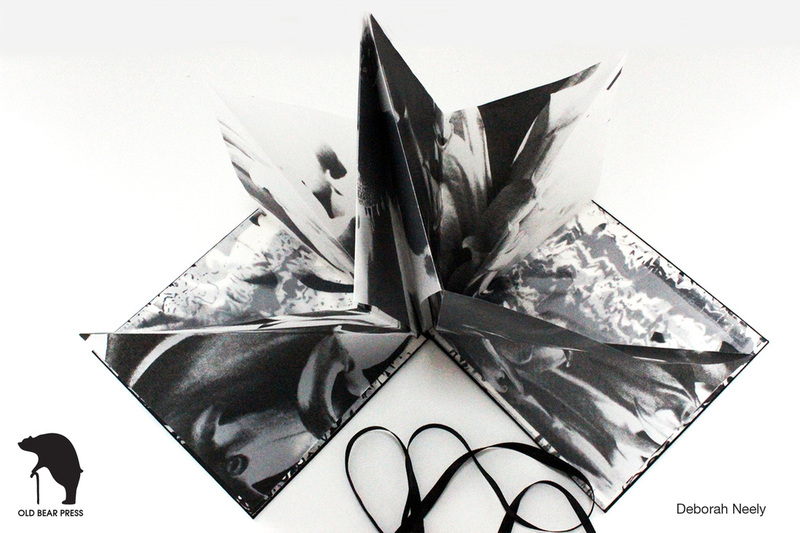 MMU Special Collections holds the largest publicly accessible collection of Artists’ Books outside London. The collection covers the period from the 1960s to the present day and includes a wide range of formats and materials. Special Collections will be open from 10am-4pm on Friday 16 October and from 12noon-4pm on Saturday 17 October. You can drop in at any time during opening hours to browse the Artists’ Books collection. Find us on the 3rd floor of the Sir Kenneth Green Library, on the opposite side of the park to the Holden Gallery. You’ll also be able to visit the current exhibition, ‘Are we there yet? 150 years of progress towards equality’ which explores the progress that has been made in the UK towards achieving equality, in terms of suffrage, gender, disability, sexuality and race, over the last 150 years. ‘Western Wilds’ is a collaboration between the BA Fine Art course at Wirral Metropolitan College, Birkenhead and the Department of Visual Arts at Brigham Young University in Provo, Utah, USA. It took place in Yellowstone National Park and BYU in June 2014 and addresses our relationship to the ‘wild’, with the intention of creating dialogues surrounding our personal, historical and contemporary cultural values which we place on the protection of, and access to, wilderness sites. 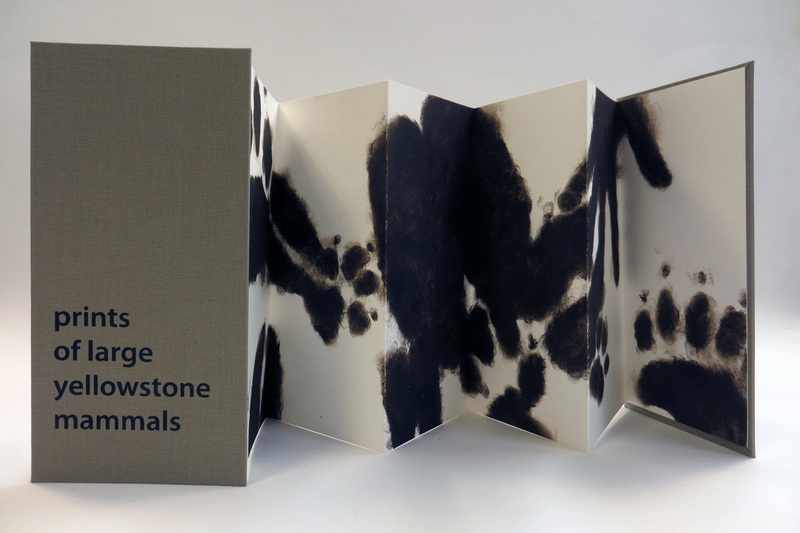 This book arts exhibition forms the major part of that collaboration and contains photographic works, printmaking, drawing, sewn text, film based content and wood, soil and ash. The Western Wilds exhibition and the Reading Room have no need of a timetable or to be booked - the exhibition is there for everyone to enjoy, and you can look at books in the Reading Room whenever there's space on the sofa. Of the events below, only those marked with a star need booking. To book a free place, simply ask at the entrance table at the fair if there is still space - if there is, we'll book you in. 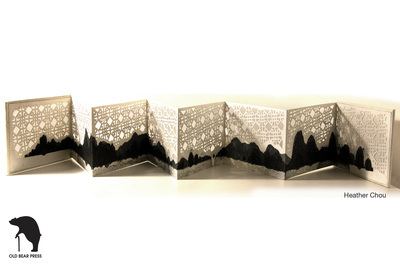 Please note that the talks introducing Special Collections' Artists' Book Collections will take place on the third floor of the Sir Kenneth Green Library, not in the Holden Gallery. Just ask the reception staff at the library desk and they'll let you through. The length of the workshops will vary but will last between half an hour and an hour. 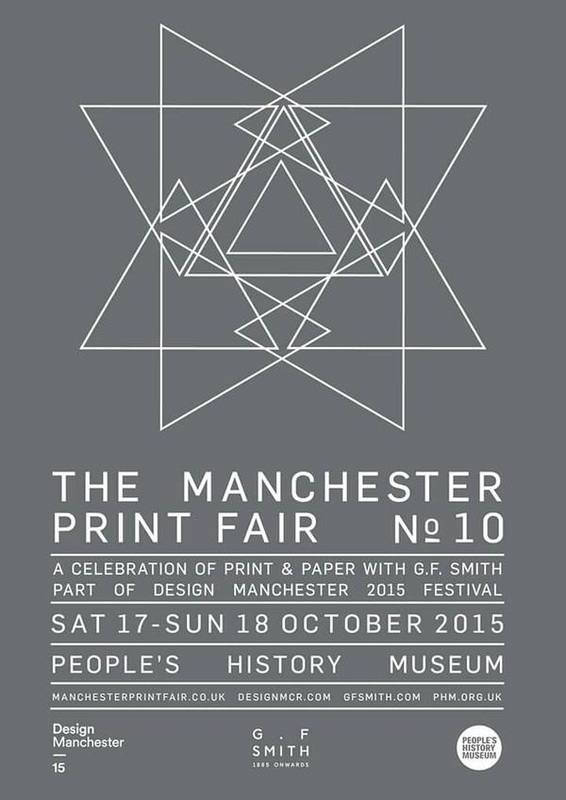 A celebration of print and paper from G F Smith and The Manchester Print Fair - entry to public FREE. Over 60 art & design stalls alongside a series of workshops hosted by G F Smith paper over two days, housed inside the impressive Engine Hall of The People's History Museum. Explore a unique selection of local design and get hands-on with print and paper fun for all the family! 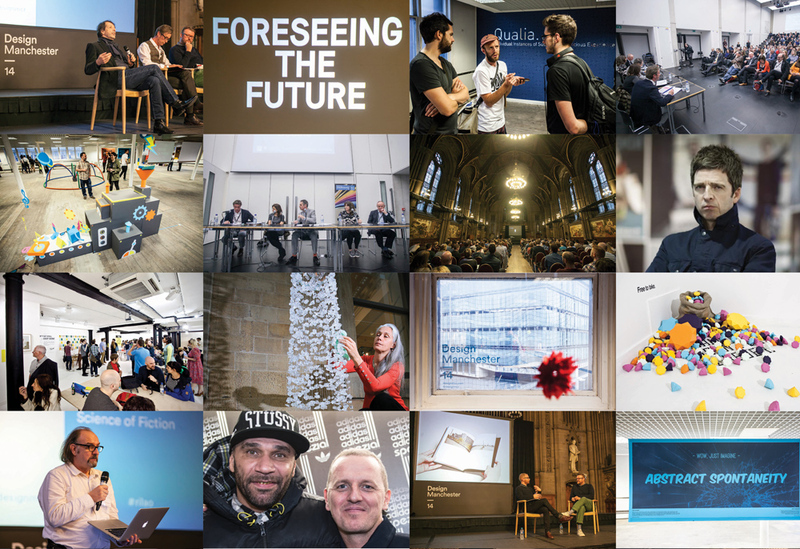 October sees the return of Manchester's festival Design Manchester, celebrating creativity, collaboration and inclusivity in the worlds of art, design, animation, film, photography and illustration. The ever-growing festival has become a staple of the city's diverse and thriving cultural calendar, with a rich programme of talks, workshops, exhibitions, screenings, debates and a full weekend celebrating the love of print.